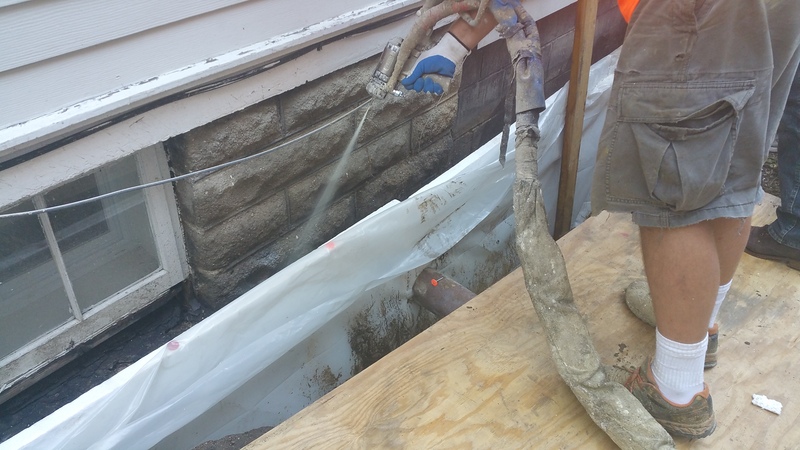 Kinzler was hired to do excavationless foundation insulation at a home in Minneapolis. This home was built in 1907 and was recently purchased by a new homeowner that is in the process of turning it into a net-zero home, pursuing Green Star certification. The foundation insulation is one of the first items in this big project. This is the third home where the excavationless foundation insulation procedure has been done. 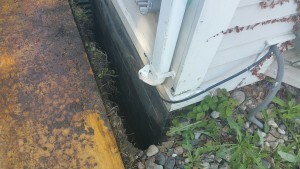 The procedure originally came out of a U.S. Department of Energy field study and involves using a Hydrovac truck to vacuum out a 4” trench of dirt down to the footings around the outside of a home. After that, 1.5” of rigid foam board is installed against the dirt and the remaining 2.5” of the cavity is filled with a special blend spray foam that was made specifically for this application. The excavationless procedure works well on existing homes. The alternative approach is to use an excavator to dig out the foundation and insulate it using a different strategy. This alternative could take longer, be more expensive and will cause more damage to grass and landscaping. In the next few months, when the home is ready, we will return and insulate the rest of the foundation above grade so there is a seamless transition between the exterior wall and the foundation insulation. Kinzler will also be insulating other areas of the home including the walls and ceilings. We are excited to be part of such an innovative project and is happy that the homeowner will now have a more comfortable, durable and energy-efficient home. Trench created around the foundation of the home. Spraying in spray foam insulation after the installation of the foam boards.